ONLY AVAILABLE FROM THE PARTS PLACE INC. This is a reproduction of the infamous Chevelle Stinger hood. 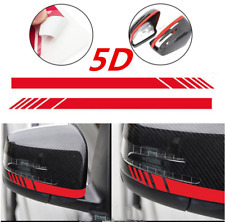 Use this fiberglass hood to set your car apart from the rest, or turn yours into the super car you always dreamed of. This is a must for Chevelle enthusiasts. Bolts onto factory hinges (you must use 69 hinges) and fits 1968 and 1969 Chevelle / Baldwin / Yenko / Copo models. This item must ship truck freight (see shipping details below). ALWAYS INSPECT HOOD FOR DAMAGE BEFORE ACCEPTING. 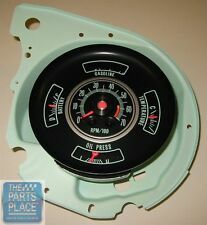 This is a factory set of gauges that look 100% correct like GM NOS but are reproduction. The redline on the tach is 6000. It comes assembled and will plug into your factory gauge harness. You must have a factory gauge dash harness for the correct plugs and for it to function properly. This complete assembly bolts up to your dash carrier assembly whether it had gauges or not. You can now replace your rusted old non- working gauges with these new gauges that look NOS. Perfect for an SS Super Sport 396/375 HP Yenko Copo. We also carry a conversion gauge setup which looks similar to this one but is designed for a car that has idiot lamp or tell tale gauges (lights). 1967 Chevrolet Chevelle. Bucket Seat Upholstery. 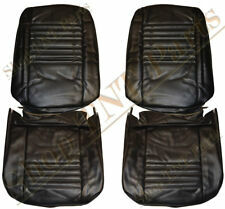 New Reproduction Seat Covers. Black Vinyl. Madrid Grain Vinyl. 1969 Chevelle. Bucket Seat Upholstery. New Reproduction Seat Covers. Black Vinyl. Madrid Grain Vinyl. Laredo Grain Vinyl Stripes. You may use these graphics in order to reference any of our products. Many factors will influence how the colors will appear to the viewer, including computer resolution and graphic size. 1967 Chevrolet Chevelle 4 Door Sedan/Wagon. 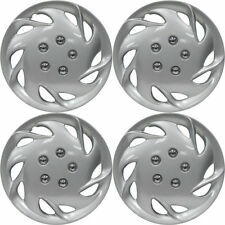 These fit all 1970-72 Chevelle / Malibu hardtop or convertible models. Sold as a Pair. Sorry for any inconvenience. 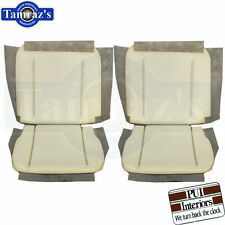 1966 Chevrolet Chevelle Pre-Assembled Front Door Panels - White & Black - PUI. You may use these graphics in order to reference any of our products. Many factors will influence how the colors will appear to the viewer, including computer resolution and graphic size. You may use these graphics in order to reference any of our products. Many factors will influence how the colors will appear to the viewer, including computer resolution and graphic size. 1965 Chevrolet Chevelle Sedan / Wagon Front Door Panels. This is a complete trunk floor pan assembly for a 1969 Chevelle. 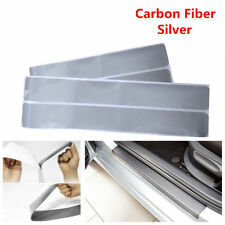 This is perfect if you need to replace your complete trunk floor and want it to look like factory. It will also save you money because all the pans and braces come welded, so you wont have to pay a body shop to weld each piece in. Fits 69 1969 Chevelle Malibu models.. This is a new steel Sprint SS style functional cowl induction domed hood. Fits 1970-72 Chevelle / El Camino / Sprint SS style models. Comes in black primer. This hood retails for $349. This item must ship truck freight (see shipping details below). Some hoods will take 5-10 working days to get to you. Please be patient as it may be a factory direct part. All hoods include a crating charge. ALWAYS INSPECT HOOD FOR DAMAGE BEFORE ACCEPTING. (Flapper door and air cleaner assembly not included). Blue Front Door Panels & Coupe Rear - Set - PUI. You may use these graphics in order to reference any of our products. Many factors will influence how the colors will appear to the viewer, including computer resolution and graphic size. You may use these graphics in order to reference any of our products. Many factors will influence how the colors will appear to the viewer, including computer resolution and graphic size. These Pre-Assembled Door Panels Feature . You may use these graphics in order to reference any of our products. Many factors will influence how the colors will appear to the viewer, including computer resolution and graphic size. 1966 Chevrolet Chevelle 4 Door Sedan / Wagon. This is a new steel factory 2" cowl induction style hood. Fits 1969 Chevelle / El Camino models. NOTE: Can fit 1968 models if 1969 hinges are used. Comes in black primer. Some hoods will take 5-10 working days to get to you. Please be patient as it may be a factory direct part. All hoods include a crating charge. ALWAYS INSPECT HOOD FOR DAMAGE BEFORE ACCEPTING. Free shipping offered on this hood!. You may use these graphics in order to reference any of our products. Many factors will influence how the colors will appear to the viewer, including computer resolution and graphic size. 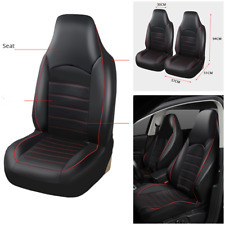 These seat covers feature . New steel driver side 70 Chevelle fender. Factory OEM style fender fits all 1970 Chevelle Malibu SS Super Sport hardtops or convertibles. Excellent fit and finish. This item must ship truck freight (see shipping details below)..
You may use these graphics in order to reference any of our products. Many factors will influence how the colors will appear to the viewer, including computer resolution and graphic size. 1964 Chevrolet Chevelle 4 Door Sedan/Wagon Front Door Panels. This is a brand new right hand door shell for 1966-67 Chevelle. Why waste your time re-skinning your rusty old door when you can replace it completely. This is a must for your restoration. Fits all 1966-67 Chevelle / Malibu hardtop or convertible models. Must ship truck freight or be picked up (see shipping details below). Full one piece floor pan assembly (Includes underneath seat pan and goes from firewall to trunk floor by the rear seat). Fits 1964-67 GM A Body Chevelle / Cutlass and Skylark models. 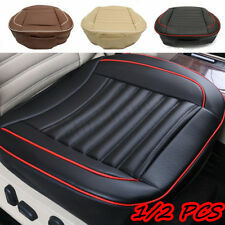 This is a 1967 Chevrolet Chevelle convertible seat cover set for a car with bucket seats in red. This is a new set from PUI and has never been used. Finish off your Chevelle with these and watch the crowds gather! You may use these graphics in order to reference any of our products. Many factors will influence how the colors will appear to the viewer, including computer resolution and graphic size. 1966 Chevrolet Chevelle 4 Door Hardtop Front Door Panels. You may use these graphics in order to reference any of our products. Many factors will influence how the colors will appear to the viewer, including computer resolution and graphic size. 1964 Chevrolet Chevelle 4-Door Wagon. You may use these graphics in order to reference any of our products. Many factors will influence how the colors will appear to the viewer, including computer resolution and graphic size. 1964 Chevrolet Chevelle 4-Door Sedan. This is a passenger side quarter panel skin for 1973-77 Chevelle Malibu cars. This is an 80% panel, it goes from the rocker up to the start of the quarter window and lips in the door jamb and goes back to the bumper. This panel does not include any sail panels and does not have any door or trunk jambs. Fits 1973-77 Chevelle Laguna Malibu SS Super Sport. This item ships truck freight with a flat shipping rate to the lower 48 United States..
We have now reproduced the 1965 Chevelle AM FM chrome radio face. This radio face includes slide bar and radio lens. You can convert your 65 66 67 68 Impala AM FM radio, and now make it a 65 Chevelle original AM FM radio. Made of die cast metal and chrome plated to a show quality finish. GM number for 65 Chevelle radio is 986203. 1966 Chevrolet Chevelle. Bucket Seat Upholstery. 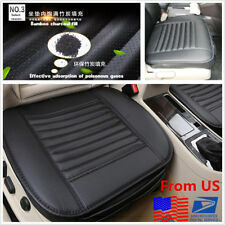 Bucket Seat Covers. New Reproduction Seat Covers. You may use these graphics in order to reference any of our products. Many factors will influence how the colors will appear to the viewer, including computer resolution and graphic size. 1967 Chevrolet Chevelle 4 Door Wagon. This is a complete trunk floor pan assembly for a 1970 Chevelle. This is perfect if you need to replace your complete trunk floor and want it to look like factory. 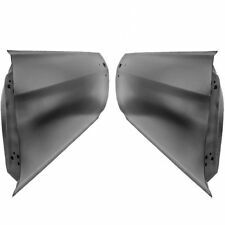 It will also save you money because all the pans and braces come welded, so you wont have to pay a body shop to weld each piece in. Fits 1970 Chevelle Malibu models. 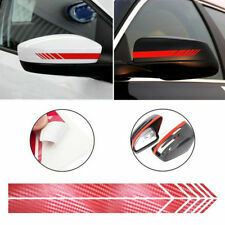 Free shipping is offered to buyers with a commercial address. Residential buyers must request shipping quote for this item.. When you want the very best, you want Sport XR upholstery! SPORT XR SERIES. Front Bucket Seat Upholstery. • Sport XR Series. Includes upholstery for both front bucket seats. 1966 - 1972 Chevelle/El Camino. You may use these graphics in order to reference any of our products. Many factors will influence how the colors will appear to the viewer, including computer resolution and graphic size. 1965 Chevrolet Chevelle Sedan / Wagon. You may use these graphics in order to reference any of our products. Many factors will influence how the colors will appear to the viewer, including computer resolution and graphic size. 1966 Chevrolet Chevelle 4 Door Sedan. This is a new firewall for convertible models without air conditioning. Complete unit that goes to all the factory seams from the factory floor pan to the upper cowl. Measures 55.50" x 22.50". Fits 1968-72 GM Chevelle convertible models. This is a new set of floor mats. Front and rear. They are embroidered black loop carpeting. Fits 1968-74 Chevelle / Camaro / Impala / Monte Carlo models. 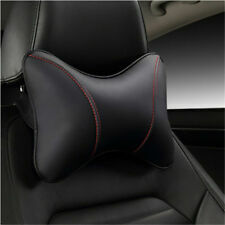 This is a rear seat mount panel for 70-72 Chevelle convertible cars. This is the panel that the upper rear seat attaches to. Fits 71970-72 Chevelle convertible models. This item ships truck freight with a flat shipping rate to the lower 48 United States. 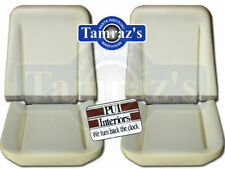 1964 Chevrolet Chevelle Light Fawn Front Buckets Seat & Coupe Rear Seat Covers- PUI. You may use these graphics in order to reference any of our products. Many factors will influence how the colors will appear to the viewer, including computer resolution and graphic size. You may use these graphics in order to reference any of our products. Many factors will influence how the colors will appear to the viewer, including computer resolution and graphic size. These door panels feature . You may use these graphics in order to reference any of our products. Many factors will influence how the colors will appear to the viewer, including computer resolution and graphic size. These Pre-Assembled Door Panels Feature.